The Zac Posen Spring 2013 collection evokes whimsical elegance. With flowery prints and delicate chiffon, the innovative collection puts a fanciful touch on Spring. 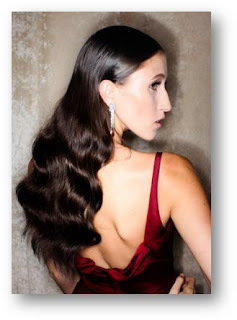 For his Spring 2013 collection, Zac Posen envisioned rich, vibrant hair color to make the runway looks truly pop. 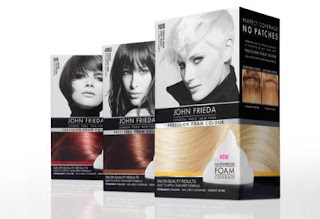 John Frieda® International Creative Consultant Harry Josh brought this vision to life, using John Frieda® Precision Foam Colour to enhance models’ shades with saturated colour and shine that complemented Zac Posen’s spring pieces. An essential part of the runway look, the hair colour brought vibrancy and brightness to Posen’s singular designs. Harry Josh chose Precision Foam Colour for its salon-quality coverage and expert colourist-selected shades, using tones that closely matched the models’ own hair colours, serving to enrich their shades rather than completely change them. 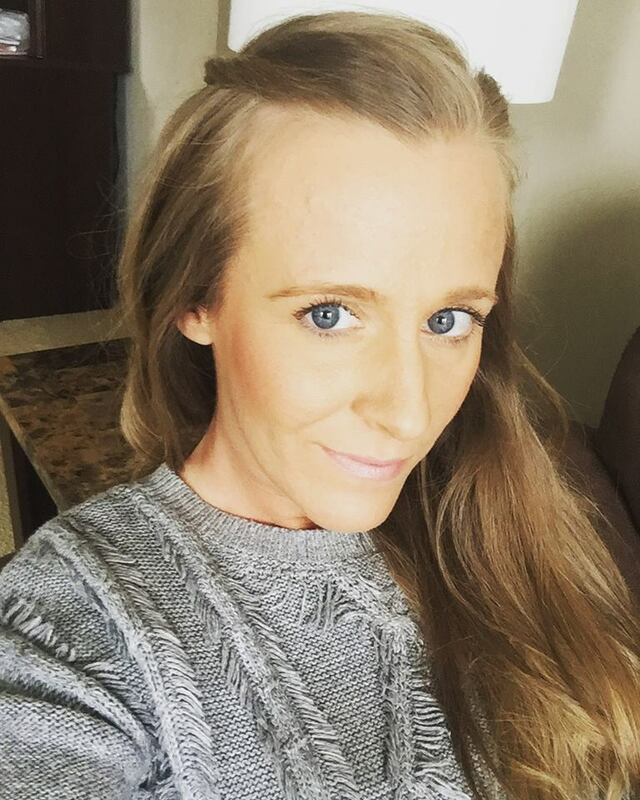 *Step 1: To keep the crown frizz-free, apply a dime-sized amount of Frizz-Ease Hair Serum Original Formula, smoothing hair downward from the top of the head to below the ear. *Step 2: Next apply Frizz-Ease Curl Reviver Styling Mousse evenly through hair and brush to uniformly distribute product. 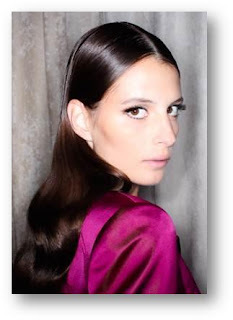 *Step 3: Create a severe middle part and blow dry completely, brushing hair back and away from the face to make the hair at the crown flat and smooth. *Step 4: With a 1” curling iron, create a wave by wrapping small sections of hair twice around the barrel. Make sure to stop before reaching the nape of the neck in order to keep the crown flat. Brush hair out to create one uniform wave. *Step 5: Follow with Frizz-Ease Moisture Barrier Firm Hold Hairspray to keep style in place. Luigi’s Backstage Tip: “Frizz-Ease® Hair Serum Original Formula is a Fashion Week essential. Not only do I use it on damp hair to tame frizz, but I also use it right before models walk the runway. This added touch keeps styles smooth and extra shiny and makes the model’s hair colour look radiant,” Murenu reveals.